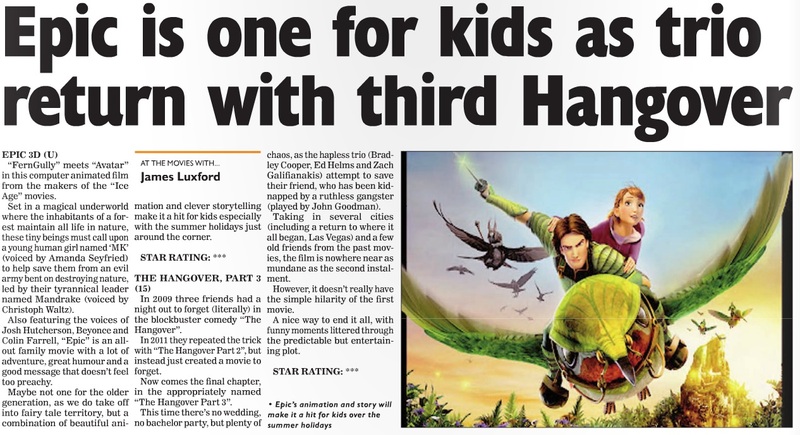 Please click above to read the larger version of “At The Movies” for Oxford Journal, Oxfordshire Guardian and Basingstoke Observer. This is my final column for the paper, having worked successfully with the publications for two years. I leave to write for NewsQuest South title Oxford Mail and Oxford Times, the largest papers in the city, where I will soon be writing a film-related column.